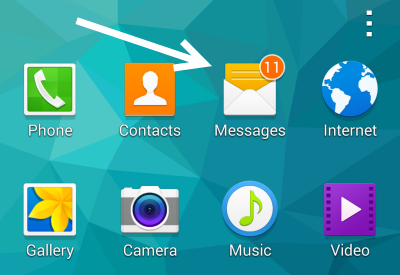 How Do I Move Message Threads to the Top of the Messages App on My Galaxy S5? If you text frequently, the number of threads inside your Messages app will rapidly increase. 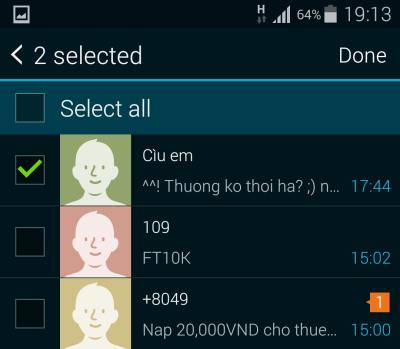 This makes finding the message threads of favorite or important contacts difficult. Luckily, on the Galaxy S5, you can choose specific threads to move to the top of the list so that you can see and access the ones you need as soon as you open the app. Continue reading to find out how. 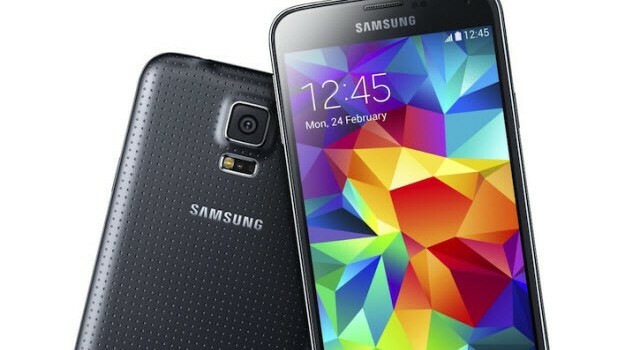 Please note that this tutorial is written only for the stock message app that comes with the default software of Galaxy S5. 1. Open the app drawer, and launch the stock Messages app. 2. At the top of the Messages app, you will see an option to add priority senders. This option lets you choose your favorite contacts and add their message threads to the top of the app so that you can access them quickly. 3. 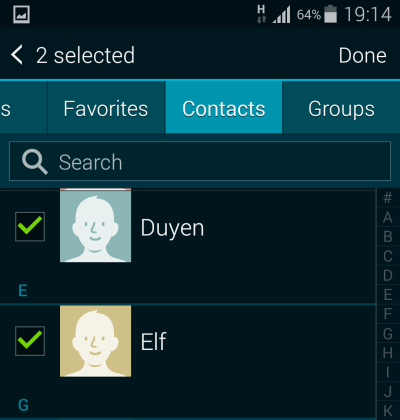 In the next screen, choose the contacts that you want to add to the priority list. You have the options to pick contacts in the Recommended list (which suggests people that you frequently contact), Inbox, or Contacts book. 4. 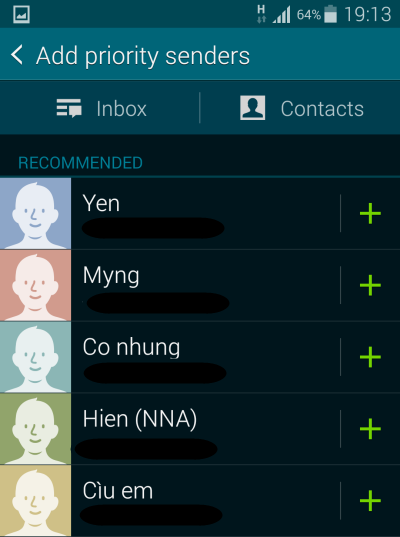 For contacts in the Recommended list, just tap the corresponding plus button for each contact to add it to the list. For contacts in the Inbox or Contacts book, check the box next to the name of the contact that you want to add, and tap Done. 6. As soon as you tap the button, you will be redirected to the main interface of the Messages app. 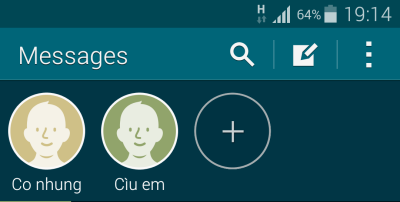 Your selected contacts now appear at the top. Tapping on the image will open the correct message thread. You can add more threads to the list by tapping the plus button. If you have more than four favorite threads, you can scroll the list to the left to see the remaining threads. 7. If you want to remove a thread from the priority list, long-tap on any picture, choose the Edit list of priority senders option, and remove the thread.